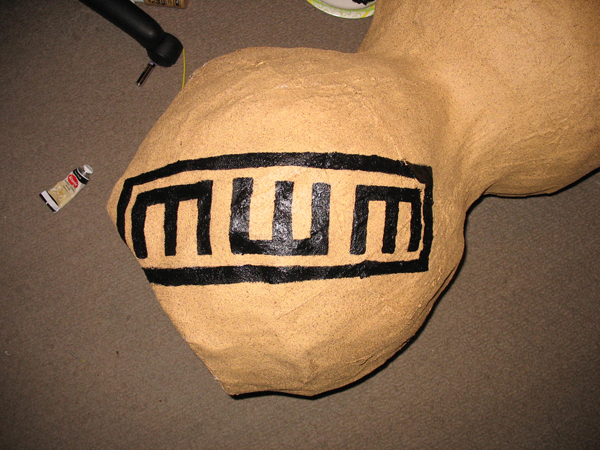 With it spray painted, I started on the MWM symbols. I quickly learned something - should have done the yellow first. And here it is, completed and in use. It was quite a task. It has some major problems - it's too heavy to wear on my back. Next time, I'm not going to use any clay in it. 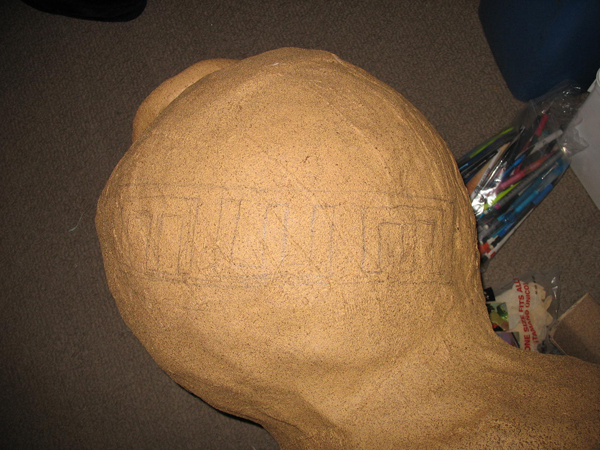 Also, probably because of the clay, it didn't come out as smooth as I'd like. Otherwise, it looks beautiful and I'm pleased with that. There will be a next time, someday!